Heat is used throughout the process, from melting the beeswax and varnish to fusing the layers of wax. 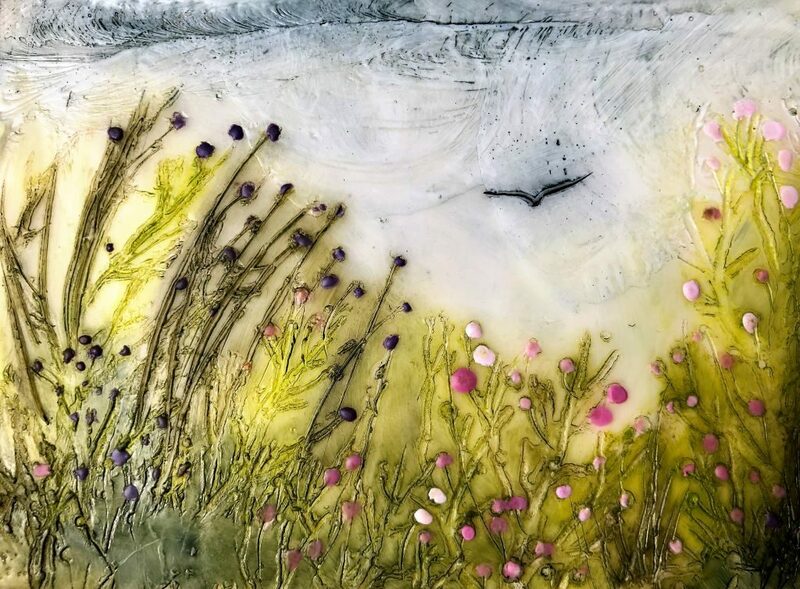 Encaustic consists of natural beeswax and dammar resin (crystallized tree sap). The medium can be used alone for its transparency or adhesive qualities or used pigmented. Pigments may be added to the medium, or purchased colored with traditional artist pigments. The medium is melted and applied with a brush or any tool the artist wishes to create from. Each layer is then reheated to fuse it to the previous layer.